For this special technology issue, faculty member and alum Edward Bilous talks about technology’s almost limitless possibilities. All works of art tell the story of the societies from which they are born. Whether it’s a Madonna carved from an elephant tusk, a symphony orchestra, or a site-specific theatrical event, art is what happens when our values and beliefs are given form and shaped into experiences. Art is a product of our collective need to preserve the essence of who we are. Just as a writer uses metaphor to add depth and meaning to his work, art itself is a metaphor for civilization and humanity. As director of the Center for Innovation in the Arts (formerly the Music Technology Center) at Juilliard for the past two decades, I’ve had the opportunity to speak with many students and alumni about the forces that are shaping the story of their generation and the future of their profession. Earlier generations were affected by schisms in religious traditions, the march toward democracy, the creation of an economic middle class, and world wars. In the time that I’ve been on the Juilliard faculty, no force has transformed the way we make, perform, and experience art as technology has. I use the past tense—transformed—because we are now solidly situated in a new age. Consider the evolution of storytelling, beginning with ancient communities gathered around a fire through the advent of mass media, and now, with the paradigm-smashing experiences available through interactive media, avatars, and mob events. The same trajectory can be seen in music, beginning with a 42,000-year-old flute carved from the wing of a bird and evolving to communities of musicians who collaborate in the ether (online) and create works that can be experienced globally. Very few writers or musicians set out to transform their art form. They merely used the tools available to them to tell the stories of their age. Directly or indirectly, the stories of today are being written in binary code. The question we ask ourselves at the Center for Arts Innovation is “at what point do these tools become required skills?” I think the answer is, emphatically, now. Whether we are talking about weavers plotting patterns on computers, sculptors shaping light with a digital controller, or designers creating new products with 3D imaging, it’s hard to imagine any profession that hasn’t been transformed by technology. In the performing arts, however, in many cases, actors, dancers, and musicians don’t get opportunities to explore these tools until after they leave school. One of the hats I wear at the center is that of artistic director for Beyond the Machine, a festival of interdisciplinary and multimedia art. In this capacity, my main job is to facilitate imaginative thinking and inspire young artists to embrace the miraculous tools they have available to them. This is not an easy task at Juilliard or any other conservatory for that matter. And there are good reasons for that. Over the course of centuries, the technical demands placed on performers have become so immense that young artists rarely have time to explore creative impulses that don’t directly support the mastery of traditional skills. The technique needed to advance to the second round of an audition requires a lifetime of preparation within a very focused aesthetic framework. As in the case of Zen monks or Olympic athletes, for artists, performing at the top of your game is a full-time job. Also, institutions like Juilliard are grounded in traditions that began well before the discovery of electricity. Their DNA can be traced back centuries to past masters who wrote by candlelight, and their mission is to support and sustain those traditions at the highest possible levels. So how do we reconcile the need to honor a tradition while nurturing innovation and creativity? We need to inspire young artists to see themselves as being part of a unique time in history with a unique story to tell. We must nurture creativity and creative thinking and provide students the skills needed to fully engage in the art of their time. Since it sometimes feels as if everything ever created is now available on YouTube, audiences are seeking artists who have both technical mastery of their art form and something truly personal to say. In music, I believe every composer should be required to master composing and performing technology. Not understanding the remarkable techniques for shaping sound that are available in any production studio is like studying orchestration but skipping the winds. Without a mastery of technology, a composer’s palette of colors will be half of what it should be, and her dependence on engineers and producers might be demoralizing. Also, and perhaps more to the point, the economic limitations a composer will face without a solid understanding of technology could be a career-killer. Furthermore, every musician should know how to plug in. The youngest generation of composers has embraced performance technology in the same way that filmmakers in the 1950s embraced Technicolor. 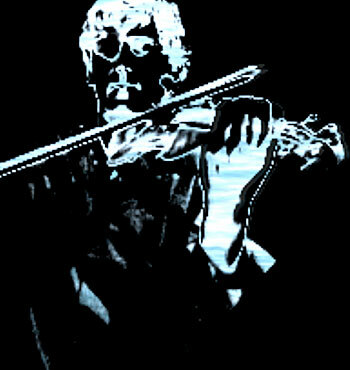 If a musician doesn’t know how instrumental techniques have been extended through performance technology, they will miss the exciting wave that is lifting their generation to new, creative heights. Performance technology should not be limited to musicians. The potential to explore space, time, energy, and level through movement has been expanded a thousandfold with projection design and interactive technology. Exciting new creative tools allow dancers to extend beyond their physical frame and inhabit multiple dimensions with new forms and architectures. And with the flick of a hand, an actor can launch a conversation or duet with a virtual partner or engage audiences in multiple locations. Without experiencing the creative power of new technology, performers will be limited to experiencing art only through the rearview mirror. Finally, all artists should be encouraged to collaborate. 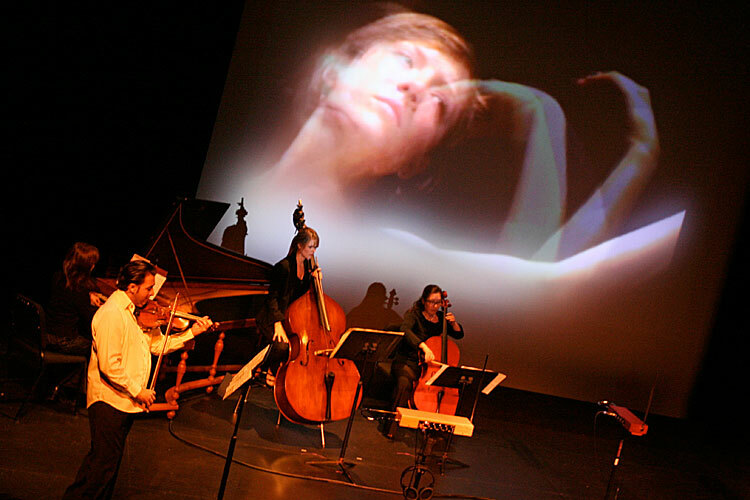 Because sound, light, and movement can all be transcribed digitally, a kind of digital architecture is emerging that frames all the arts. In this environment, performers are inspiring each other in new and exciting ways. Learning has changed as well. We no longer see learning as taking place on a long and narrow road. A better metaphor for education is the Web, where all things are interconnected. In this way, performing arts centers are becoming places where people can connect to a large reality. With Web 2.0 technology, a theater also becomes a university in the original sense of the word: a place where someone can find their place in the universe. Ironically, the Web and digital technology have created an environment that is, in some ways, more like prehistory than it is like the 19th century. In those days, artists were often healers, historians, and spiritual leaders for their communities. Perhaps technology isn’t pulling us away from the traditional core of the arts but instead making us aware of our original, authentic selves—expansive, interconnected, and with limitless creative potential.